Animal-id.info in the capital of EU - Brussels. Our organization took part in the international conference "THE ILLEGAL ONLINE PUPPY TRADE: TOWARDS A SAFER EU FOR ANIMALS AND PEOPLE ONLINE". 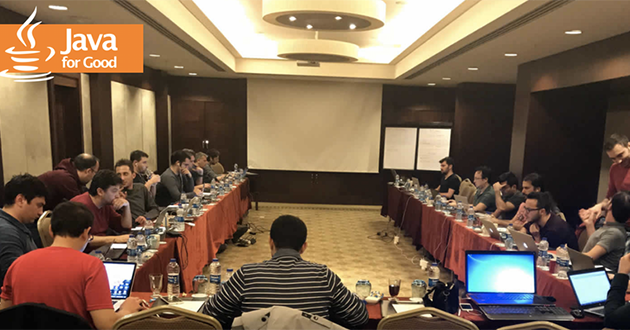 Among the participants, there are the heads and representatives of veterinary associations in many European countries, heads of the largest databases of identified animals, the managers of international cynological clubs, NGO`s and many other experts working in the field of animal welfare. We had the honor to be a speakers on one of the key international event in the companion animal welfare field - ICAWC 2018 (International Companion Animal Welfare Conference). The conference took part on 9-11th of October 2018 in Krakow, Poland. This was the 20th conference. There was more than 270 participants from all over the world on this event. BlockShow Europe 2018 in Berlin, Germany. Animal-id.info was among the participants of the greatest conference concerning Blockchain technologies "BlockShow Europe 2018". It was in Berlin, Germany at the end of May. Participation in EuroPetNet meeting in 2018. We took part in general assembly of EuropPetNet association in Berlin, Germany. Animal-id.info has been the member of this organization since 2011. Animal-id.info in "Visions Of Blockchain". We want to introduce you an article about our project in a great magazine " Visions Of Blockchain". Participation In Social Hackaton "Java For Good". International company Crossover held a great IT event - social hackaton "Java for good". Our organisation together with Oracle Corporation (USA) were invited as the partners. We Have Launched A New Service - A Widget For Animal Adoption. Another General Assembly EuroPetNet Was Held. Another General Assembly EuroPetNet was held. There a new strategy and a vision for the development of electronic identification and registration (I & R) was presented . Our Organization Took Part In An International Conference "Make A Change For Stray Dogs" In Spain. Our organization took part in an international conference "Make a change for stray dogs" in Madrid, Spain. There were a lot of experts from all over the world. Free Microchips For The Dogs In Lviv. 5,000 domestic dogs will be microchipped for free in Lviv. Microchipping is the most reliable way of identifying animals.